Summer is not over just yet! Get your whites on and come downtown to the 3rd annual Brookfield Place Tennis Open. Can’t get out to the open, no problem Brookfield Place has something for everyone. Life overlooking the Hudson is never amiss. Brookfield Place our very own gem delivers the excitement from Queens US Open to Downtown, New York. The Brookfield Tennis Open kicks off Saturday, Aug 25th through August 31st. 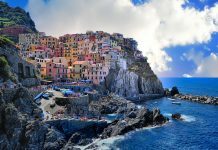 Here you will find as much fun off the court as you will on the court, from delicious food, to open courts, tennis clinics for both children and adults to photo opts with some of your favorite tennis players. Or simply come out to refine your skills with their free clinics. 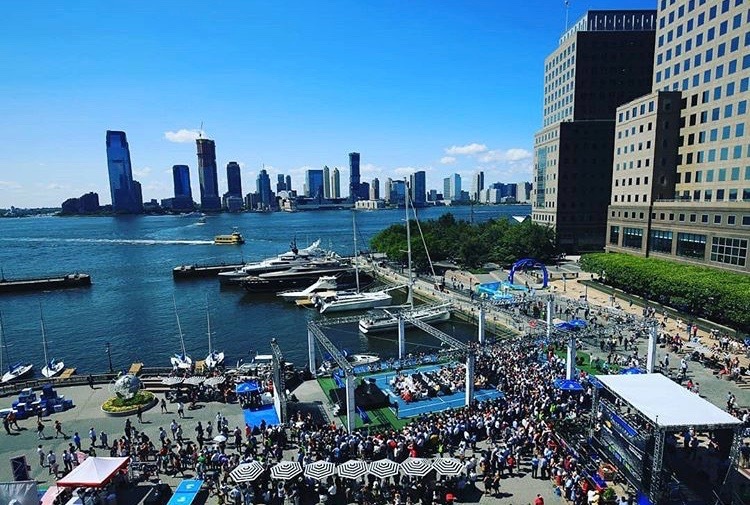 John Isner and Lucas Pouille will be at Brookfield Place New York to celebrate its 3rd annual Brookfield Place Tennis Open with an event today August 25th presented by Prince, the leading global racquet sports brand. 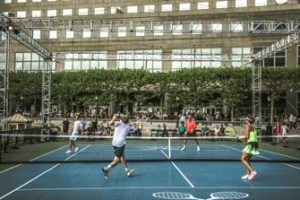 John Isner and Lucas Pouille, Prince Brand Ambassadors, will square off for a fun, public match to kick-start the Brookfield Place Tennis Open in Lower Manhattan. Come on over to Brookfield, for participatory demonstrations and games with prizes! Families, no problem, don’t leave the children with their nanny, stop by for their kids camp and adult and kids clinics on the court. WHERE: Brookfield Place New York, Downtown the heart of every city!